Back in our pre-kid existence my husband and I were avid lovers and players of board games. Even as a child, I have fond memories of playing Monopoly, The Game of Life and chess well into my teen years. After we were married, my husband and I discovered other strategy games that we enjoyed like Risk and then moved on to FLUXX and Settlers of Catan. The summer before our first child was born, we even had a board game day where we provided breakfast, lunch, and dinner and had friends show up to play various board games. I think overall we had 20 people in and out of our house play games in the span of 12 hours. Fast forward to our daily child-rearing state, we still love games but haven’t had nearly as much time to play them or space in our budget to invest in buying whatever game we want. 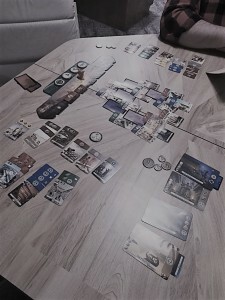 If you are a board game lover in the same predicament, or just love trying new games, a friend of mine (Hi Emily! 👋🏾) recommend a new business to me and it was right up my alley. 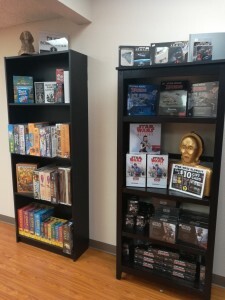 Silver Twilight Games is located at 1740 S. Glenstone Ave, Suite H, in Springfield. 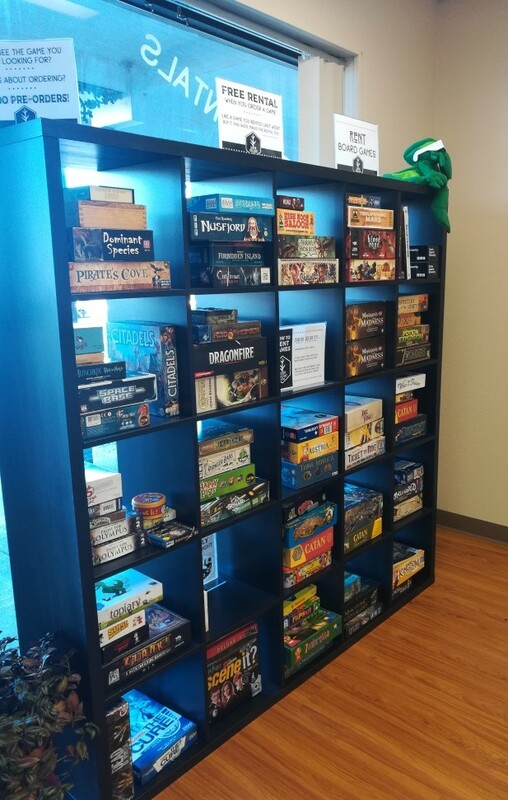 It is a locally owned and operated board game rental service. (A truly genius idea but let me explain.) After filling out a form and providing credit card information, you rent games for a 7-Day time period (Saturday to following Saturday), ranging in price from $5 to $10. They have such a diverse selection of games to choose from as you can see in the main photo for this post. 🙂 If you enjoy a game, you can purchase that game with the rental price you paid applied to the full sales price. For example, if you rent a game for $10 and the cost to purchase is $30, you would pay an additional $20 for a grand total of $30. If you don’t want to buy the game, just return it on the due date of course, otherwise, there are fees, and rent something else. I love the ‘try-before-you-buy’ theme or if there’s just something you want to play, you can. We’ve rented 4 games in the last 3 weeks. We chose Carcassonne, Me Want Cookies!, and Duel – pictured above. (I forgot what one of them was. It was so complicated that we looked at the thick booklet of rules and promptly closed the box. 😂) We loved Carcassonne so much we ended up buying it. The staff was super friendly and knowledgeable and the games that we rented were in brand-new condition. I highly recommend this service and business with the slogan of “Bringing Back Family Game Night”. They offer family games as well as games for more mature tastes. If you are wanting to do something new, especially in the colder winter months, give this a shot!